Cats are notoriously fickle—purring in your lap one second, then swiping you with an indignant claw the next. One thing is certain however when it comes to felines: People have adored them for an eternity. Just look to ancient Egypt, where feline representations appear during the Naqada III Period, circa 3300-3100 B.C., and remain abundant well beyond the height of the dynastic Egyptian kingdoms. 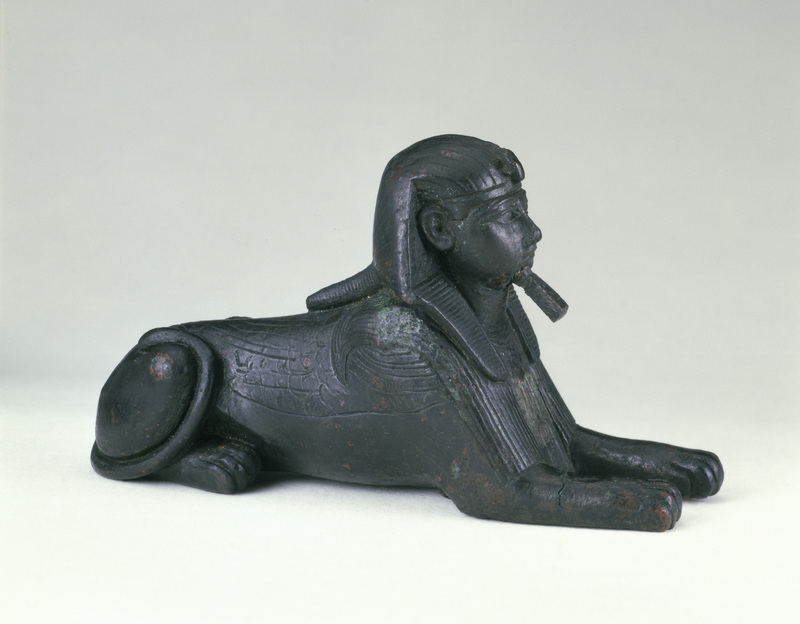 A new exhibition “Divine Felines: Cats of Ancient Egypt,” opening Oct. 14 in the Smithsonian’s newly renovated Arthur M. Sackler Gallery, explores how Egyptians regarded and revered cats for some 2,600 years. 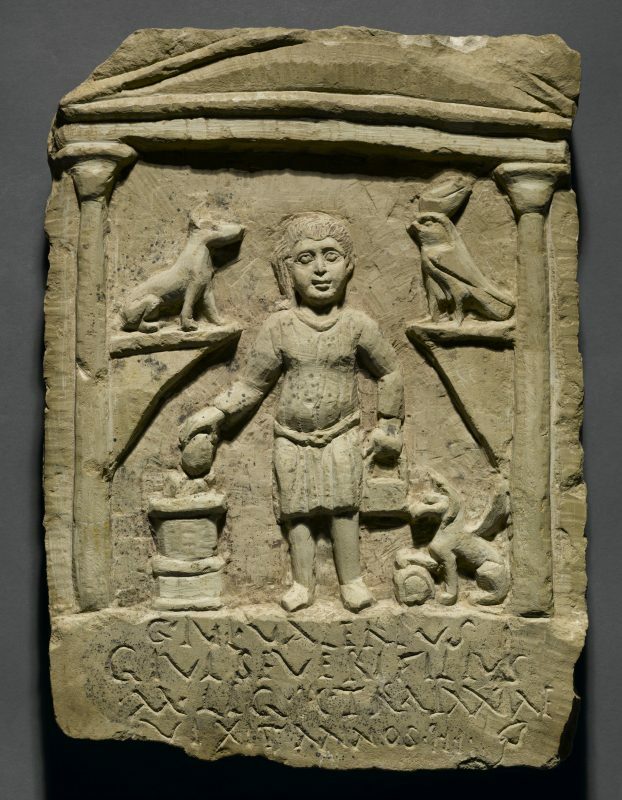 Antonietta Catanzariti, a postdoctoral curatorial fellow at the Freer|Sackler and specialist in art of the ancient Near East, curated the exhibition, which was organized by the Brooklyn Museum. More than 81 objects from Egypt’s Middle Kingdom (2008-1630 B.C.) through to the Byzantine Period (395-642 A.D.) will be on display at the museum through Jan. 15, 2018. Catanzariti highlights some of the objects and ideas the exhibition explores, including a rare cat mummy displayed in collaboration with the Smithsonian’s National Museum of Natural History. Q: What inspired this exhibition? Catanzariti: We see a lot of news regarding cats nowadays, so the idea behind the exhibition was to give attention to how ancient civilizations appreciated cats. 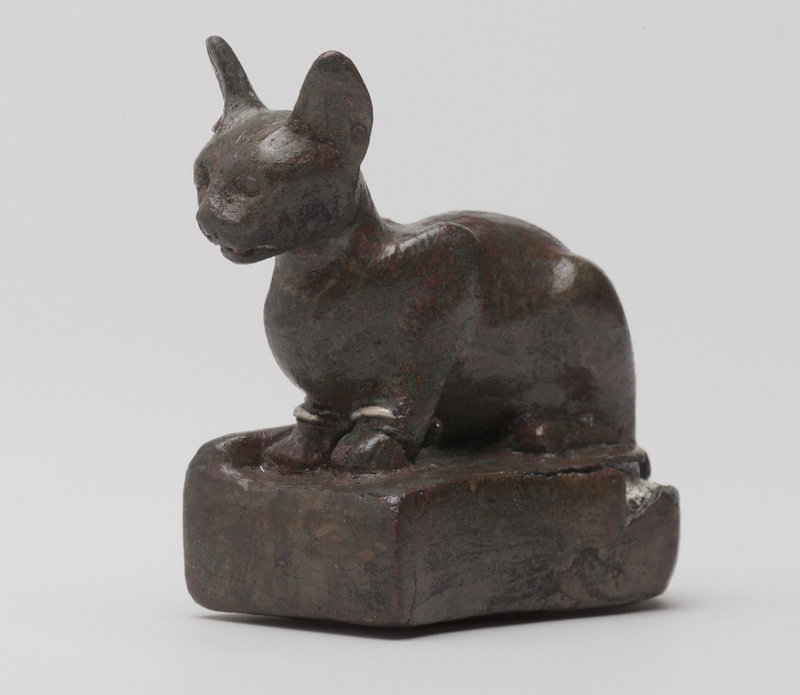 Egyptians associated cats with gods and kings, and feline motifs appear on many of the objects of daily Egyptian life. “Divine Felines” explores the role of cats in ancient Egypt through themes so visitors can appreciate Egyptians’ interest in cats and felines. Q: Why the great reverence for cats? Catanzariti: Egyptians loved to observe nature. They watched how animals behaved, and these behaviors became associated with a specific deity. 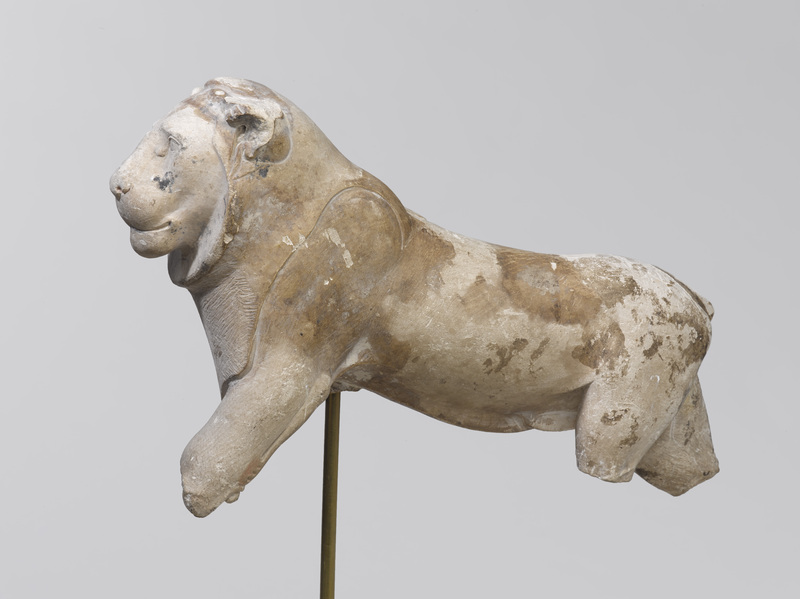 For example, lions can be both aggressive and peaceful; therefore, Sakhmet [the goddess of warfare and healing] is depicted with a lioness head. Bastet, a divinity portrayed with the head of a cat and a female body was associated with aggressiveness and protection. 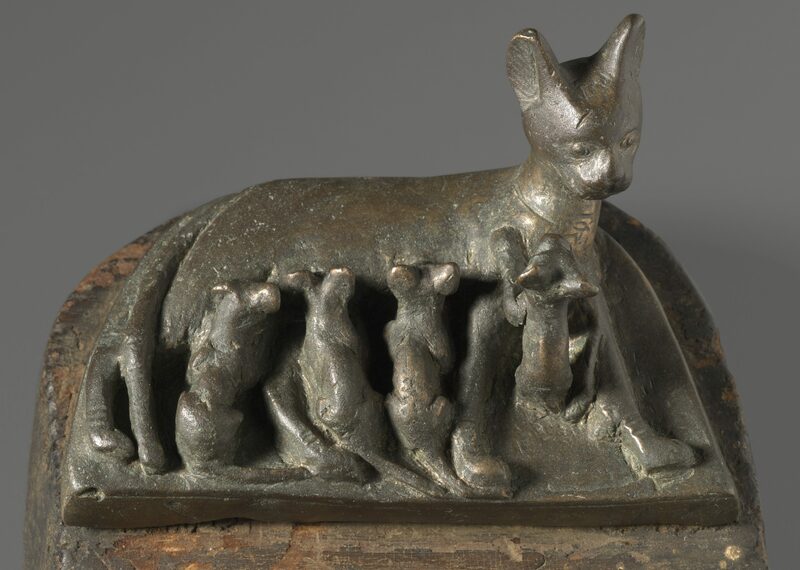 This is why Bastet is often represented as a cat protecting her kittens. This is one example of how Egyptians recognized the dual nature of animals, that is, the aggressiveness and protectiveness of felines. The concept of duality, where paired elements could be in a relationship of opposites, is commonly expressed in Egyptian art. Furthermore, animals, especially cats, were useful. For example, they chased mice out of the house. Over time, they became companions and pets. 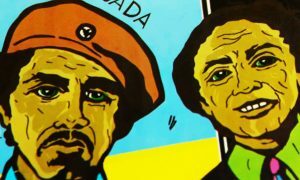 Q: Is there anything new or little-known this exhibit brings to light? Catanzariti: “Divine Felines” invites visitors to look beyond the beauty of its pieces and learn about Egyptian practices that involved an appreciation of felines. For example, animal mummies were often disregarded as archaeological material in the past. Today, researchers are giving them more attention. Modern technology now allows us to see inside the mummy and examine what is under the wrappings. An interesting phenomenon related to cat mummies is that during the Late Period (664-332 B.C.) of ancient Egypt, people were producing many of them. Mummies usually contained real cat bones but empty mummies were also produced. As the interest in acquiring mummies for burials and offerings increased, so did the production of animal mummies. This fact allows us to reflect on the centrality of devotion to their gods in the lives of ancient Egyptians and the economic value of animal mummies. 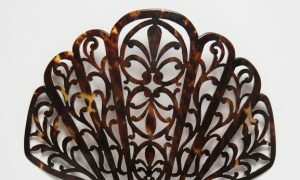 Q: Your background is in handling durable artifacts like ancient ceramics and metal ware. How does one handle something as delicate as a cat mummy? Catanzariti: Because the cat mummy came from the Smithsonian’s National Museum Natural History, their experts handled it. It is in a very fragile state—the patterns of the wrappings are in a particular style but, unfortunately, they are falling apart. This is why the mummy must be handled in a certain way and displayed in a certain position so as not to damage the wrappings. It is definitely much different from stone and ceramics. Q: Will visitors be able to learn more about what’s inside the mummy? Catanzariti: This mummy was CT scanned and we know is that it was a kitten, between 6 and 9 months old, and that its neck was broken. 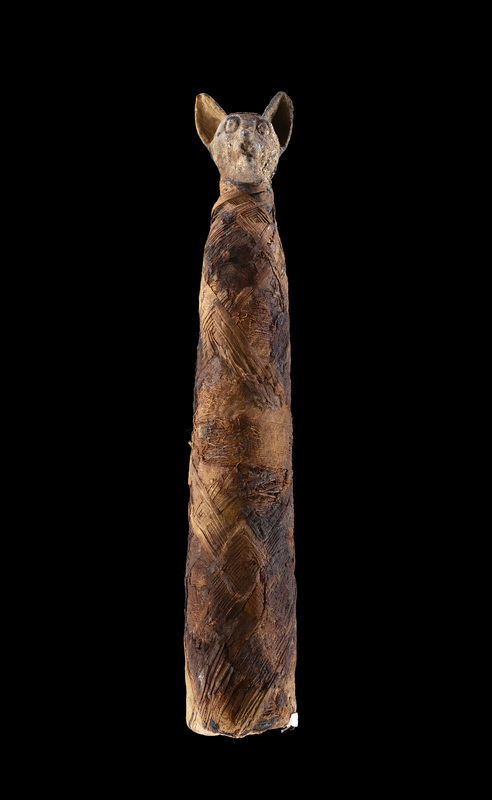 The scans and X-rays done on the cat mummy that helped researchers study this object are included in the exhibition. Looking at the mummy [with the naked eye], it seems that it is an adult cat, but when you see the X-rays and the scans, you can see the bones belong to a kitten. Salima Ikram, a professor at the University of Cairo, has done some studies on this particular cat mummy, and she will be visiting the Freer|Sackler to speak about cats from Egypt. Q: This isn’t a 100 percent cat exhibition. There are a few dogs thrown in there. Why include them? Catanzariti: The reason behind this addition is to open a small window into cats’ counterparts: dogs, which were loved just as much! The idea was to show how dogs, too, were not only beloved pets but also associated with specific deities, for example, the god Anubis. Dogs, already in the Early Dynastic period, became associated with the deities that guarded the dead and guided spirits through the netherworld. These beliefs came about because dogs were observed roaming near cemeteries. The Anubis statue in the exhibition had been placed in a tomb to protect the deceased in the afterlife. The few objects in the exhibition dedicated to dogs give us an idea of the role of dogs as protectors or companions. Both cats and dogs had quite important roles, but in very different ways. Q: What is your favorite object in the exhibit? Is there a piece you have a special connection with? Catanzariti: I really like the jackal spoon. It is so finely made. The body of the jackal is not only very smooth, but stretches to form the handle of the spoon. Aesthetically, it is a beautiful piece of art. But, in addition to being a fine work of art, some scholars have suggested that spoons like this one were cosmetic containers and that they placed in burials to be used in the afterlife by the deceased. Q: So, are you a cat person or a dog person? Catanzariti: I don’t have a cat or dog. Although I do like both, I would say I’m a mummy person, since I’m an archaeologist!